When Briony Tallis (Saoirse Ronan) was 13 years old, she was witness to a lewd act between her older sister Cecillia (Keira Knightley) and Robbie (James McAvoy), a servant's son, that ends up sending the boy to jail. Several years later, Briony (Romola Garai) is a young woman who tries to heal the wound the previous incident inflicted on her family. $796.836 thousand on 32 screens. Normally when critics describe a movie as “a sweeping love story” and “a ravishing romance”, I take a pass. There’s nothing wrong with that sort of flick, but I don’t usually care for the genre. However, I made an exception for 2007’s Atonement, primarily because I previously made an exception for 2005’s Pride and Prejudice. I didn’t expect to like that flick but enjoyed it quite a lot. Since Atonement comes from the same director – and earned even higher praise – I figured I’d give it a look. Set in England circa 1935, Atonement mainly traces the relationship between Cecilia Tallis (Keira Knightley) and Robbie Turner (James McAvoy). She’s a wealthy, privileged young woman who lives on her family’s palatial estate, while he’s the son of the housekeeper. Robbie did well in school and got to attend Cambridge. Although he plans to head to medical school, he now putters around the grounds and works on the landscaping. Although they prefer to demonstrate outward animosity toward each other, Cecilia and Robbie clearly possess passionate feelings, and these come to a head during a family gathering. They consummate their simmering desire but the good times don’t last. Cecilia’s 13-year-old sister Briony (Saoirse Ronan) walks in on them during the act, an event that provokes shock in her. When someone rapes her cousin Lola (Juno Temple), Briony pins the offense on Robbie and the authorities arrest him. And with that, Atonement skips ahead a few years and finds Robbie in Northern France as a soldier. We learn he spent some time in prison and joined the military as a way out of incarceration. He maintains a long-distance romance with Cecilia, though. The rest of the flick follows their relationship as well as an 18-year-old Briony’s (Romola Garai) attempts to deal with her earlier lies. Whatever good will Wright inspired in me with the light and unpretentious Pride and Prejudice pretty much evaporated as I watched Atonement. I didn’t expect – or want – this flick to be a clone of Pride, but I hoped that Wright’s crisp and direct touch would continue here. Unfortunately, Wright adopts pretension after pretension in Atonement - and along with those, he completely abandons any thoughts of pacing. Though the first act in 1935 fills about a third of the film, it doesn’t boast nearly enough story or character development to warrant that amount of time. It tends to plod along as it introduces a mix of characters without much obvious purpose. Even with all that time, the film fails to develop the participants much beyond general stereotypes. Once war arrives, the tale becomes a little more interesting, though not too a significant degree. Matters tend to meander too much as things stay slow and uninvolving. Much of the problem comes from our lack of investment in the characters. Because the film doesn’t relate them well, we don’t really care about them. They remain unrealized and flat. Atonement unspools slowly and really add up to much – until you get to the ending. I don’t want to spoil the conclusion, but some will view it as brilliant and others will interpret it as absurd. I lean more heavily toward the latter interpretation. While the ending allows some of the film’s earlier weaknesses to make more sense, it also invalidates a lot of what we saw. It gives us a “Bobby Ewing in the shower” vibe that feels like a trick. Granted, I don’t mind the gimmicky ending too much just because I never bought into the prior 100 or so minutes. I feel for folks who get into the tale and characters, though, as the conclusion will probably pull the rug out from under them. Again, I suspect many people will find the finish to be dramatic and strong, but to me, it rendered much of what we already saw to be moot. Strange ending or not, Atonement leaves me cold. Slow and unfocused, the plot and characters rarely go anywhere. For a “sweeping love story”, this one seems awfully uninspiring. 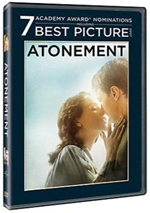 Atonement appears in an aspect ratio of approximately 1.85:1 on this single-sided, double-layered DVD; the image has been enhanced for 16X9 televisions. Despite some photographic challenges, the picture usually looked quite good. Once I separated artistic choices from transfer issues, that is. Atonement came with a light, gauzy, airy look much of the time, and that meant pale, subdued colors. A few examples of more prominent hues occurred, but most of the time the flick stayed with a somewhat blown-out look. This also affected sharpness to a degree, as it meant the movie intentionally tended to stay a little soft. I had no complaint about that, though some light edge enhancement was unnecessary. I noticed no issues with jagged edges or shimmering, though, and source flaws remained absent. Blacks tended to be deep and dense, while shadows showed nice delineation. Low-light shots offered good clarity throughout the film. Overall, this was a very good – and almost great – transfer. I found myself surprised by the impact possessed by the film’s Dolby Digital 5.1 soundtrack. Given the flick’s nature as a period romance, I didn’t expect much from the soundfield, but the mix was able to open things up to a pretty impressive degree. Much of this came from the way it melded music and effects, such as the first act scenes that combined score and the clacking of a typewriter. Of course, the war sequences broadened matters in a good way, but the track stayed convincing and involving even during the more low-key pieces. Audio quality also satisfied. Speech was natural and concise, without edginess or other issues. Music was dynamic and full, while effects appeared accurate and tight. Low-end response was warm and tight throughout the film. This mix served the film in a strong manner. We get a few extras with Atonement. 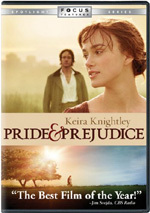 First comes an audio commentary with director Joe Wright. He offers a running, screen-specific chat that looks at the original opening credits, symbolism and visual techniques, music and sound, the source novel and its adaptation, costumes and themes, locations, effects, and a smattering of other production issues. For the most part, Wright offers an insightful look at the flick. Too often he tells us what he likes about the movie, but he also occasionally reveals the aspects of the film he doesn’t like. Wright manages to open up details of Atonement in a rich way that may not make me fond of the movie, but at least they allow me to better see what he tried to do with it. This becomes a valuable chat. Two featurettes follow. Bringing the Past to Life: The Making of Atonement goes for 26 minutes, 52 seconds as it mixes movie clips, shots from the set and interviews. We hear from Wright, novelist Ian McEwan, screenwriter Christopher Hampton, costume designer Jacqueline Durran, hair and makeup designer Ivana Primorac, producer Paul Webster, director of photography Seamus McGarvey, production designer Sarah Greenwood, armourer Nick Jeffries, and actors Vanessa Redgrave, Romula Garai, Saoirse Ronan, James McAvoy, and Keira Knightley. “Past” looks at the source novel and its adaptation, character elements costumes and makeup, cast and performances, Wright’s style as a director, sets and locations, visual choices and camerawork, and general production subjects. I don’t expect a lot from these relatively short documentaries, but “Past” packs a lot of information into its length. I like the behind the scenes bits, and the show moves so quickly that it covers a lot of territory. We find a surprising amount of good material in this tight little program. From Novel to Screen: Adapting a Classic lasts five minutes, four seconds and features Wright, McEwan, Hampton, Webster, Knightley, and McAvoy. “Classic” examines the source work and its move to the movies. Unlike the efficient “Past”, “Classic” tends to be fluffy. It doesn’t tell us a whole lot about the adaptation, so it disappoints. Seven Deleted Scenes fill a total of seven minutes, 33 seconds. These include “Briony Rips Poster” (0:49), “Emily Speaks to Jack” (0:54), “Cecilia and Leon on Terrace” (0:41), “Dunkirk: Alternative Start” (1:25), “Walking Through the Fields” (1:20), “Under the Bridge” (1:00) and “Ice Factory” (1:09). Of these, “Poster” is probably the most useful, as it expands on Briony’s dismay when she sees Cecilia and Robbie in the fountain. “Jack” is also moderately interesting, as it alludes to the potentially impending war well before we get there. The others feel like filler to me. We can watch these with or without commentary from Wright. He offers the usual array of notes about the scenes and tells us why he cut them. Wright proves to be informative and helpful. A few ads open the DVD. We get clips for Miss Pettigrew Lives for a Day, Crossing Jordan Season One, Definitely Maybe and Charlie Wilson’s War. No trailer for Atonement appears here. Somebody must’ve liked Atonement since it got an Oscar nomination as Best Picture. I couldn’t find much worth in this plodding, insubstantial piece of faux romantic fluff. 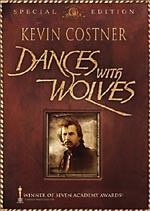 The DVD offers very good picture and audio along with a few extras that give us good information. I like this release but don’t think much of the movie itself.